This entry was posted in Gear, Under Quilts and tagged Backpacking, Cuben Fiber, hammock, Hammock Gear, Hiking, Lightweight Backpacking, Phoenix UQ, Thru-Hiker.com, Ultralightweight Backpacking, Under Quilt. Bookmark the permalink. So did you ever use this thing? Sounds like you just questioned yourself and kept calling Adam…any report on the proposed temp rating. Not much of a review here, more of just speculation…but that’s all you really do huh? It sounds like you didn’t really take any time to read the post, but I will answer your silly questions anyway…maybe you’ll read the reply! Yes, the UQ keeps me warm to 20F, however, only what it covers (another reason the specs are important). Loving your blog Stick, thanks. Thanks for stopping by and glad that you enjoy my blog! If I wouldn’t have went with the HG Phoenix, it would have been the Yeti. However, I liked that the dimensions of the Phoenix were slighter more than the Yeti and I wanted to get as close to a full length UQ as possible without actually getting a full length UQ. Raul Perez has spoken very highly of the Yeti though, as well as many others so I have no doubt that I wouldn’t have liked it as well. 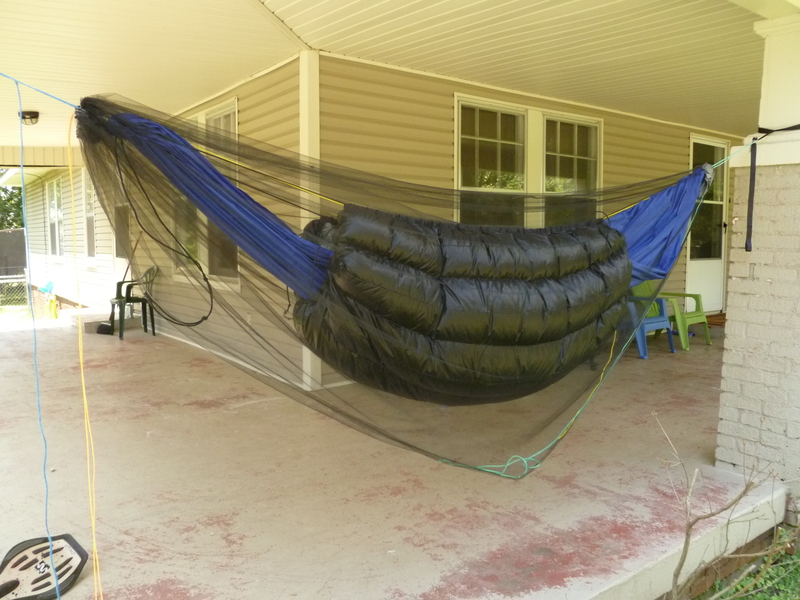 If I can just get my wife into a hammock, maybe I will have a good reason to need another UQ though… although she would rather a tent so far. Until then, thanks again for stopping by and commenting! Great report. I look forward to your cooler weather results. 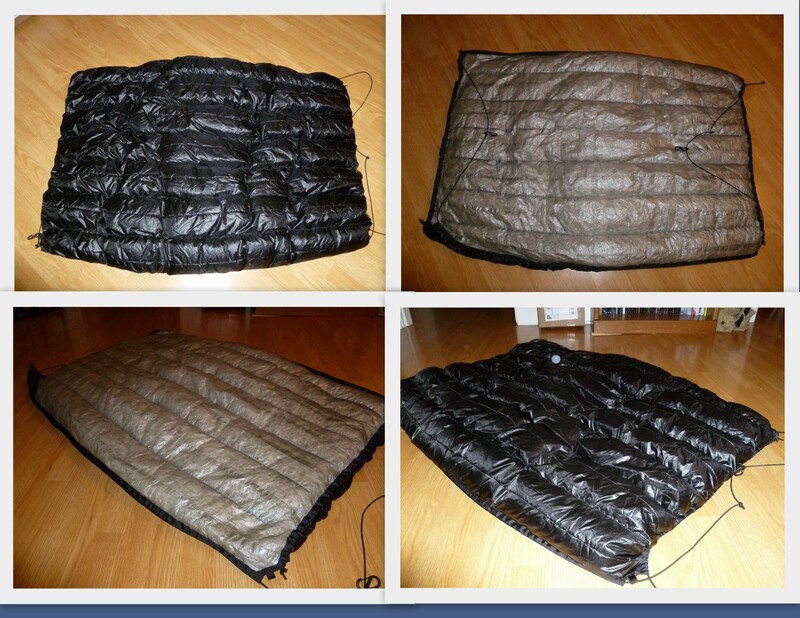 From experience my top quilt and under quilt merge into a cocoon of downy goodness. So my shoulders didnt get cold. Your mileage may vary. If you dont get what you paid for at least Adam is willing to correct it. Wow. Looks great, Stick, but those dimensions are way off. I think you should give it a few uses to see if it’s for you. However, if you did not get what you paid for I’d expect a refund, a replacement or some money returned to you. Still waiting on my UQ from Adam. He assured me it would arrive prior to my trip next weekend. Absolute worst case scenario for you, though, is you just unload it at Hammockforums.net. Someone will certainly take it off your hands! Thanks Michael for checking it out and commenting. Yes, the dimensions are off, but if it works for me I guess less is better huh? 🙂 I have used it some but with our low temps only at 55 F right now, it is still hard to determine how well it will actually work. Cool thing is though that Adam has not left me out to dry. Instead he has offered to make it right, and I have no reason not to believe him. I do hope that your UQ arrives to you on time. I never did get an email notification for my shipment. Adam told me that it shipped out Thursday and I received it on Tuesday (Monday was Labor Day). From the time that I ordered the UQ to arrival, it was 20 days. Let me know what you think of yours once you get it! You’re right–as long as you are happy with the UQ, that’s all that matters. I did not mean to insinuate that Adam was churning out a poor product or that he does not stand by his products. He does stand by his work and he has a great reputation because he does so. That’s one of the reasons I bought from him. I know what it’s like, though, to pay full price for an item and not get what was expected. It can be a major bummer. I hope it works out for you (deep down inside, I think it will). Now get out there, do some more hangin’ and let us know what you think! I agree with you, he does have a great reputation, and like you, that is also one of the reason’s I chose to go with Hammock Gear. (Ok, and the cuben too… 🙂 ) Also, I gotta admit, as unsure as I was when I first laid my hands (and tape measure) on the UQ, I have got to say that I am much happier with it now! Some actual use with the product did change that feeling, but also, it really is a nice piece of gear. Fluffy and warm! As well, Adam has contacted me since I posted the review and I do believe that I am going to send it back in for a different one, but no doubt I will be staying with Adam’s quilts, and happy.